Why is this the very first time I’m making these cookies? have no idea why it’s taken me so long! 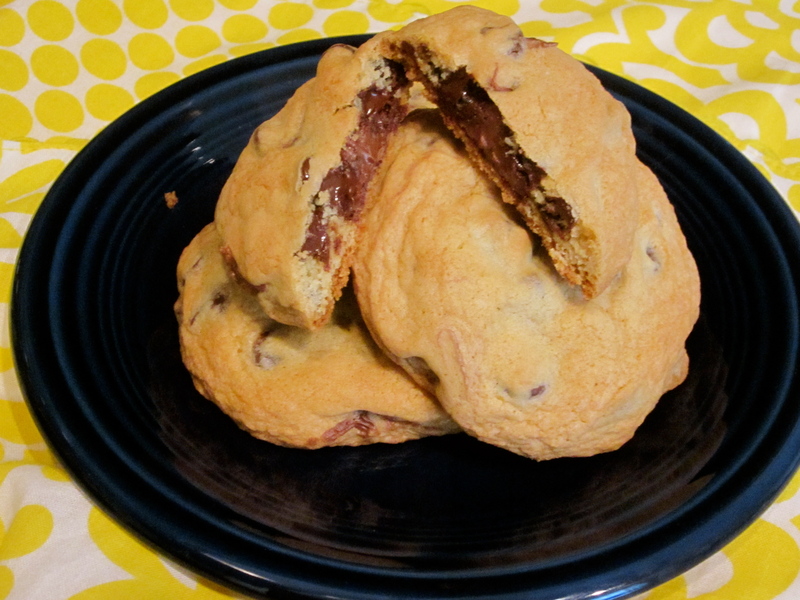 These Nutella Stuffed Chocolate Chip Cookies turned out so so delicious. I’m depressed that it’s Sunday evening at 9PM, where did the weekend go? Maybe another cookie will help the situation… 🙂 Hope everyone has a wonderful week!
. 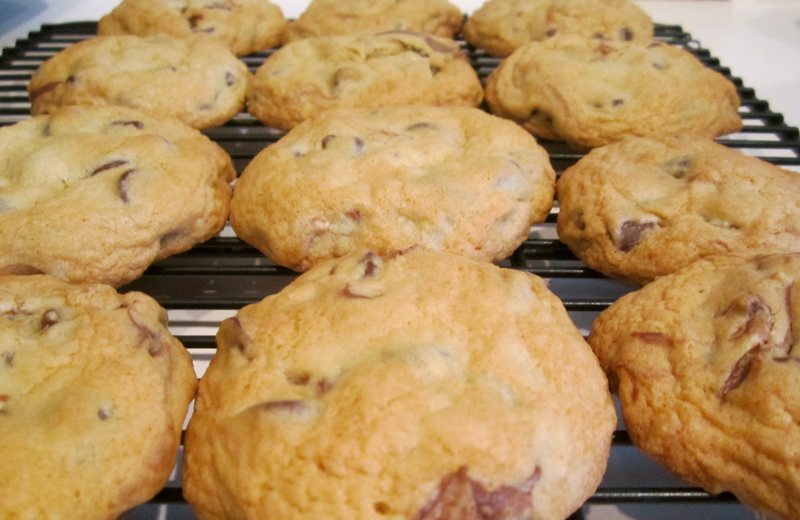 Preheat oven to 350 degrees F. In a stand or electric mixer, beat the butter and sugars until light and fluffy. Add eggs and vanilla, continue to beat until well combined. 2. 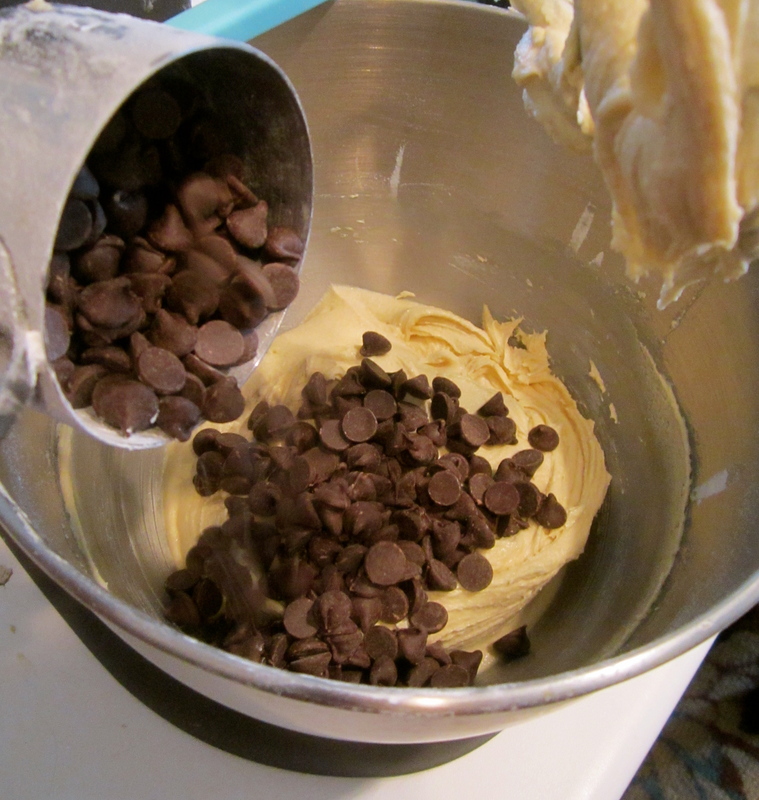 Place flour and baking soda into a bowl; mix to combine then add slowly to wet ingredients along with the chocolate chips. 3. Scoop a large spoonful of dough and flatten it into the palm of your hand. Add in some nutella into the middle, about 1-2 tsp. 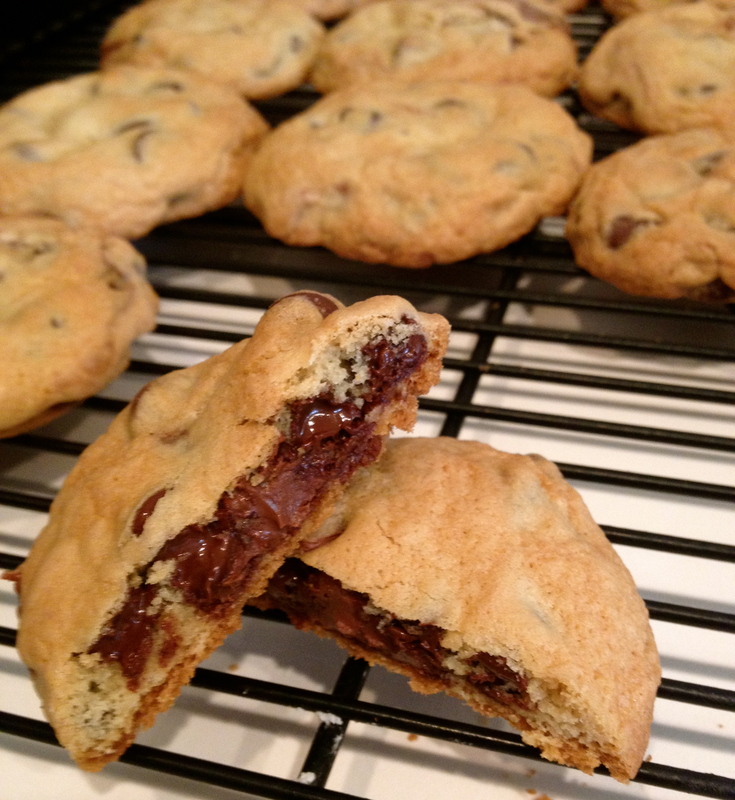 Then fold cookie dough back up so that it seals and covers the nutella entirely.